Suitable for use in the worst winter conditions and performs best in cold damp conditions. Worn with the Big Face Shirt, this combination gives single layer protection against the severest weather. Used by climbers, polar expeditions, canoeists, round the world yachtsmen and fishermen. High front and rear bib for maximum warmth. Two way upper body zips for access and ventilation. Knee length leg zips for access with boots. Front to back convenience zip. Adjustable elasticated shoulder straps with touch-and-close fastening. All sizes are chest sizes as Salopettes are all a high bib design. I cannot recommend these highly enough. Being an out-in-all-weathers cyclist and rambler, Buffalo salopettes are the only clothing system I have used which keeps me consistently dry and warm on the inside – avoiding perspiration dampness and its chilling effect. Their light bulk, weight and easy care, cut and compression size make these my first and only choice for outdoor activities, travelling and, more recently, renovating a draughty, unheated home during the icy depths of winter. Mine are 20 years old and were bought by my wife to climb McKinley. They are amazing in the winter and not too warm to wear when moving at all. Just right for my daily walks with the huskies in the winter. I’ve just bought some black Teclite salopettes as I coach outdoors so I will see how they perform next. I can’t live without them now. So warm around your back, legs and kidneys area. 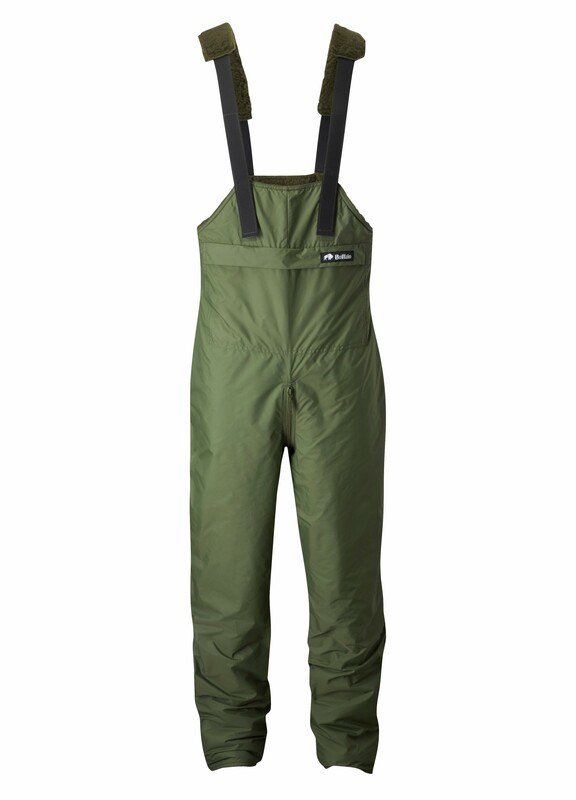 Perfect for damp and cold conditions typical of the UK and other maritime climates. 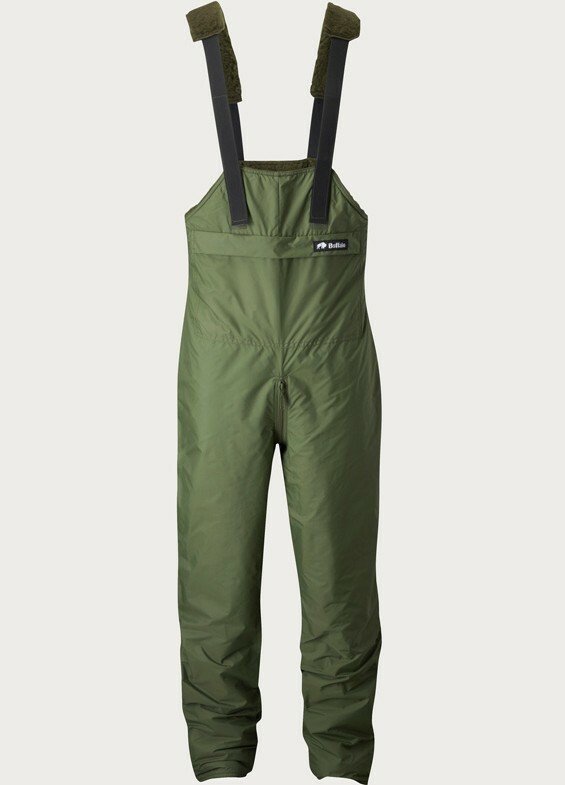 Worn on field work expeditions in Alaska, and now used for walking, canoeing, gardening, and very effectively as clothing before and after ice swimming without a wet-suit. In very severe winds I have found some wind entering through the crotch and side zips but this is minor.